Many of us are familiar with the mainstream vitamins A, B, C, D and E. If you have not yet heard about the benefits of vitamin K, read on, as it is fast becoming known as a key player in bone and cardiovascular health. Derived from the German word “koagulation,” vitamin K is actually a group of fat soluble vitamins that play a major role in blood clotting, protein synthesis and calcium uptake in bones. With vitamin K deficiency, bones can weaken, arteries and other soft tissues can calcify, blood clotting is critically impaired and the risk of excessive bleeding and osteoporosis is increased. Naturally occurring vitamin K1, or phylloquinone, is photosynthesized by plants, especially green leafy vegetables, making it the most predominant dietary form. Together with the liver, vitamin K1 helps to maintain healthy blood clotting. Vitamin K2, the most biologically active form, includes a range of vitamins, known as menaquinones. Vitamin K2 is synthesized by the microbiota located in the intestinal tract and can also be found in fermented foods. Vitamin K2 is utilized by blood vessel walls, bones and other tissues. Even as our bodies make the most of all forms of vitamin K, the body’s ability to store vitamin K is limited. As such, stores are rapidly depleted and must be replenished on a daily basis. To increase your dietary intake, fermented soy-based foods naturally high in vitamin K2 such as natto, miso and tempe, are recommended. 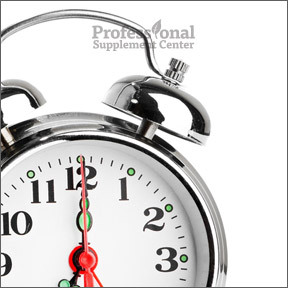 Naturally occurring vitamin K2 is often utilized in supplement formulations. 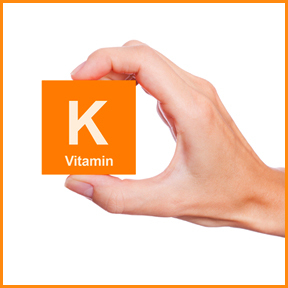 Studies suggest that the absorption rate of supplemental vitamin K is higher than the rate of dietary absorption. 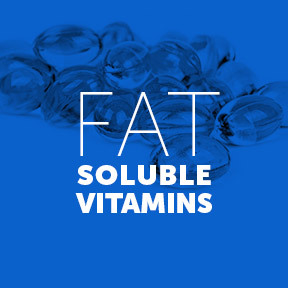 A note of caution, those who take blood thinning medications that influence blood clotting, should avoid supplementing with vitamin K and should discuss their dietary vitamin K intake with their healthcare professional. True vitamin K deficiency, which can lead to excessive bleeding, is rare. Mild deficiencies can be caused by poor diet, medications, antibiotics and diseases such as celiac, liver, gallbladder or Crohn’s. Studies show that many of us may get enough Vitamin K from our diets to maintain adequate blood clotting but not enough to protect against arterial calcification, cardiovascular disease or osteoporosis. Most importantly, taking calcium without complimentary nutrients, namely magnesium, vitamin D3 and vitamin K, can have adverse effects, including the buildup of plaque in coronary arteries. Vitamin D helps bones absorb calcium. However, it’s the vitamin K that directs calcium into the bones and prevents it from being deposited in the soft tissues, organs and arteries. The very complex process of clotting is dependent on at least 12 proteins, four of which require vitamin K to complete the process. Research shows that a high intake of natural vitamin K2 may be cardio-protective through a reduced risk of arterial calcification. Vitamin K2 is essential for the proper synthesis of the bone protein, osteocalcin, often used as a marker for bone formation processes. Higher blood levels of osteocalcin are well correlated with increased bone mineral density, as it helps to bind calcium into the bone matrix. Increasing evidence shows that vitamin K improves bone health and reduces the risk of bone fractures, especially in postmenopausal women at risk for developing osteoporosis. Vitamin K is believed to be a critical nutrient for protecting cells that line blood vessels, including arteries and veins. K-Force by Ortho Molecular – This supplement provides support for cardiovascular and bone health with a formulation that contains 180 mcg of K2 (as MK-7) plus 5000 IU of vitamin D3 per capsule. Gluten, yeast and soy free formula. Vitamin K2 Menaquinone 7 (200913) by Douglas Laboratories – Each vegetarian capsule provides 90 mcg of Vitamin K2 as menaquinone-7. Wheat, soy, gluten and dairy free formula. Vitamin K2 Liquid (K-170) by Thorne Research – This convenient, concentrated liquid form of vitamin K2 (as MK-4) provides 1 mg per drop in support of bone health. Non-GMO, gluten, soy and dairy free. Vitamin K1 -1000™ (Vitamin K-1) by Bio-Tech – This supplement provides 1000 mcg of vitamin K1 per capsule in support of normal blood clotting and bone health. Gluten and soy free. Rebuild Plus Osteoporosis Formula by Metabolic Maintenance – This balanced formula contains magnesium, calcium, vitamin D3, and vitamin K1, plus additional minerals in support of healthy bones. Vegetarian capsule, excipient-free.